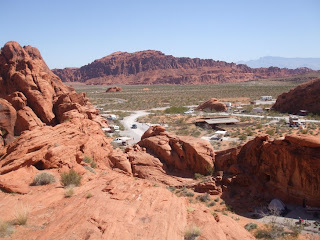 Our very favorite place to camp in the whole world is the Valley of Fire State Park! I stayed there many times as a child when my family came to visit relatives in Overton. In fact, my Great-Grandfather Jones actually helped map out the roads for the park. As a boy he hiked and climbed all over the area, and when the park was created he helped pick the camp sites and the features that millions of tourists have enjoyed. Camping is great, but it is even better to bring another family along. 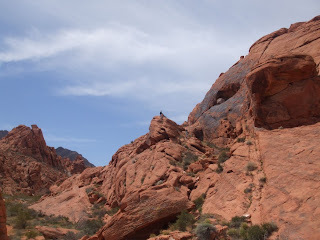 This time we had the pleasure of introducing our friends the Wilsons to the Valley of Fire. The Valley of Fire is a popular place to camp, so we felt very lucky to get these two adjacent campsites. The Wilsons are set up in the shade of the big rock at bottom right, while you can see our white van just over the ridge at the center left. 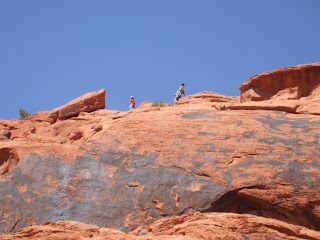 The soft red sandstone formations of the Valley of Fire are the greatest playground ever constructed. The children climbed rocks, crawled through caves, and played in the sand to their heart's content. The parents reminisced about college days, swapped songs and stories, and took turns chasing children over the rocks. Having four adults there made for half the work and twice the fun. 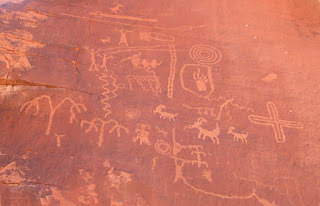 The ancient inhabitants of the area left some artwork on the rocks. I felt like I might be able to understand it if I stared at it long enough. My two-year old enjoyed pointing out the letter "o" on the State Park Service's "Please Do Not Touch The Rock Drawings" sign. Last time we went I snapped lots of shots of wildflowers. 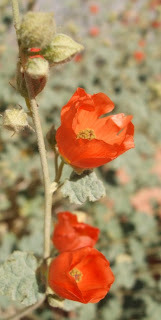 Russel got this globemallow for me because he knows how much I like these little flowers. We were all sad to leave, but it is nice to be home again and not to have red sand in my hair. Farewell to the Valley of Fire until next time! "Mom! I have a serious problem over here!" my ten year old son yelled as he banged his fist on the table, almost stabbing his homework with his pencil. "Please, if you need help, ask me politely," I said in my supremely calm mother voice. My son took a few deep breaths, "Mom, could you please come help me with my homework?" "Yes, thank you for asking politely." When I came to his elbow, I saw he had a geometry worksheet. He had to identify each shape as a square, a rectangle, a parallelogram, or "not a quadrilateral." So far he had everything right, until he got to the kite shape. "This is a quadrilateral!" my son fumed, "But it isn't a square, rectangle, or parallelogram!" "Hmmm." I said. In cases like this I defer to Dr. Carlson. "I think we have a problem here," I said as I showed the worksheet to my husband. He got as far as the instructions at the beginning of the page, "This is a problem! Technically, every square is also a rectangle and a parallelogram." "But look at this," I pointed to the kite. "Oh! Yes, this is a quadrilateral. Any four sided shape is a quadrilateral." "Who wrote this worksheet?" I grumbled. "So what do I put?" my son pleaded. "Write, "This IS a quadrilateral, and who wrote this worksheet anyways?" I told him. "You do it, mom, please?" 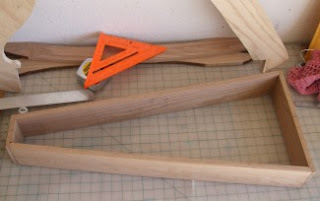 The soundboard is super strong, super flexible five-ply "aircraft" birch. It is the single most expensive piece of wood in the harp. The Room's Not Clean Until the Brick is Engraved! I decided I wanted the whole house clean for Easter. All of it, all at once. There are seven people living here. Four of them know how to keep things tidy, two are learning, and one just tries to untidy things as fast as he can. So we started yesterday morning, and now we are finally done with everything. . .
. . . everything except MY room. My room, where all the things I don't have time for right now get shoved in a corner. My room, the last bastion of clutter. My room, a mine field of unfinished projects. For example, I had just finished making up bags of clothes to give away to various friends with appropriate sized children when I noticed a plastic bag under my desk. I pulled it out, and lo, I found a brick inside! 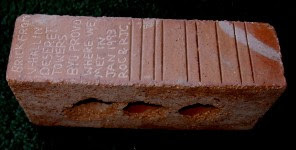 This brick once stood in the wall of V-Hall in Deseret Towers, the very building where my husband and I met fifteen years ago! I couldn't let something like that languish in a plastic bag under my desk! I had to put an inscription on it and put it on display. "This is part of cleaning my room!" I told my husband as I took the brick down to the garage. "The room's not clean until the brick is engraved!" It didn't take long. I have a Dremel with a diamond engraving bit. Tee hee. Earlier this spring an unusual weed came up in the front yard. My daughter adopted it as her plant and told everyone not to pull it up. It did not look like much to me, but a few days ago it came up with this amazing blue flower! 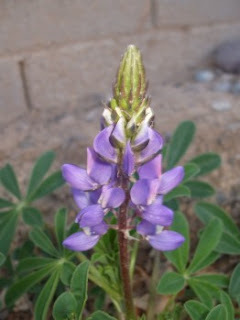 Turns out it is a blue pod lupine, a wildflower that grows in moister climates of the Western US. I wonder how it got in my yard! 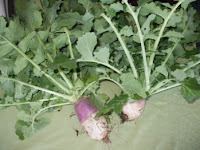 I also got two fat turnips for St. Patrick's day dinner. I had left them in the ground too long, so they got kind of stringy. I need to remember to pick them when they are radish sized. Then they're nice and tender. Wow! I just renewed my driver's license via internet! No standing in line at the DMV! Last time I got a driver's license renewed, I couldn't even pay bills on the internet! Now I can even get my license renewed! Maybe someday I'll be able to get my dental cleaning done via internet. Wouldn't that be nice? 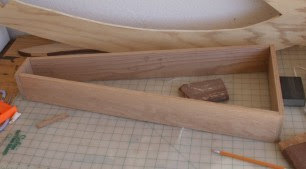 One thing I do to save time and effort when I build a harp is to cut the pillar and arch out of a single piece of plywood. 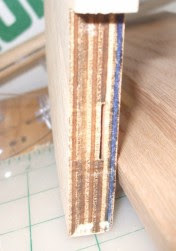 There are always some core flaws in the plywood, but that's what wood putty is for. 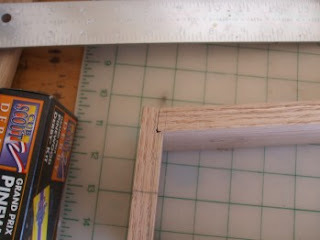 After I cut the piece I go over it and pack putty into all the flaws, then come back the next day and sand everything down. For our Relief Society dinner we had these chicken rolls. They were so good I decided to try make them myself for dinner tonight. Instead of packaged roll dough I made a biscuit dough from scratch, rolled it out into a 14 inch circle, and then cut it into 12 triangles with a pizza cutting wheel. The filling was one poached chicken breast cubed in 1/2 inch pieces, one can of mushrooms, and half a cup of sour cream. I put a couple tablespoons of filling on each triangle, rolled them up, dipped them in melted butter and then dredged them in crumbs. Baked for 20 minutes at 425, and everyone loved them! That last picture is of our paper shredder. We don't need a paper shredder for sensitive documents at our house. 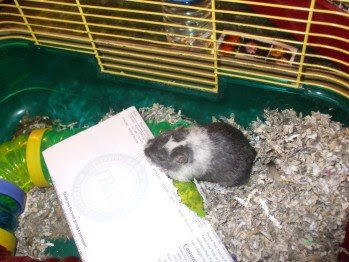 I just hand all the credit card applications and voided checks to the gerbil. For those of you who don't know, I am working on a young adult fantasy novel. Here's the cover I've put together for the proof copy I want to take to the BYU Writing and Illustrating for Young Readers Workshop in June. A big thanks to my brother Jon, jonathanhoffmanart.com, for doing the cover illustration for me! 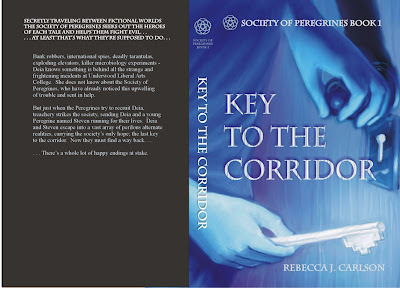 So click on the image, read the back blurb, and tell me if you are not hooked. If not, maybe I should add some pirates or vampires or something. 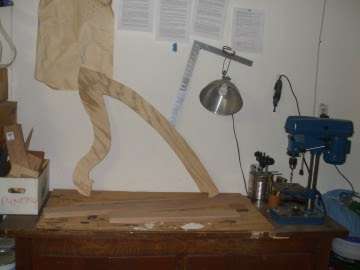 With warmer weather here at last, I'm cleaning out the garage and firing up the band saw. 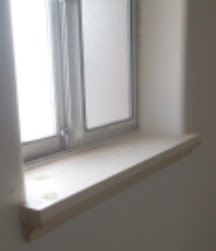 Yesterday I cut out most of the pieces for this year's harp, and today I cut and installed a window sill in the upstairs bathroom. 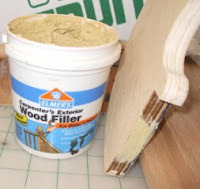 I love the smell of sawdust! My children are always well supplied with scratch paper in the form of earlier drafts of my work. They leave these pages all over the house, with their doodles on one side and my words on the other. It makes house cleaning difficult for me. I'll often pick up a page off the floor, start reading, gasp in horror, and run to the computer to fix some glaring error. Before I know it I've spent an hour at the keyboard making corrections. That's why the place is still a wreck. I haven't been blogging this week because I wanted to finish the most complete and thorough revision of my novel I have ever performed. Now it is done, draft number 18, complete in all its glory! I thought I had been so careful, but as I was punching holes in the print-out I noticed two words stuck together, a double comma, and a paragraph just teeming with passive voice and unneeded adverbs! I THOUGHT I HAD REVISED CAREFULLY! I'll just have to try again. Later. Much later. Now I need a break. 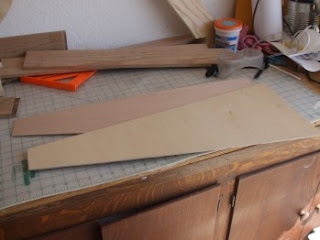 I'm going to read lots of novels, build another harp, and compose some music. Then I'll get back to my novel. I was making egg noodle casserole tonight, tossing in an old jar of Classico spaghetti sauce (use within 5 days of opening... Hmm, it’s been 6...) and then I remembered I had a fresh tomato...fresh is relative. It sat hopefully on the counter for the first week (I’ve heard that sugars in tomatoes break down when refrigerated) but I forgot what I had bought it for. It had then been banished to the refrigerator, where I went to find it tonight so I could toss it in the casserole, too. The more the merrier, right? Well, I couldn’t find it. Then I had a flash of memory. When Warner had been cleaning his room this morning, he had come to me and said he found a potato in his room. I was skeptical. What color was it? I asked. “Red.” I usually only buy red potatoes. I wanted to make sure he wasn’t just referring to the Mr. Potato head we got from Grandma for valentines. I went and looked around and didn’t see any potatoes, so I let it go. Besides, potatoes are pretty safe lying around the house and I figured it would turn up. Well, when the tomato turned up missing, and I remembered the leftover container of macaroni and cheese I had to rescue from the boys room this afternoon, and I recalled that Warner always calls tomatoes “potatoes,” the light finally came on. I went into the room where both my boys were snoozing. “Warner, you have to wake up! Warner! You said you found a potato in here. Where is it?” Grunt, roll over, finger sucking sounds. “Joseph” (he had popped right up when I walked in the room) “What did you do with the tomato?” “Der” he meekly pointed at the play kitchen, eyebrows dimpled in his usual way when he is concerned. I found the tomato sitting in a play pot in the play microwave. It was slightly more wrinkled than it had been when first banished to the fridge, but oh well, it wasn’t rotten. Into the casserole it went.